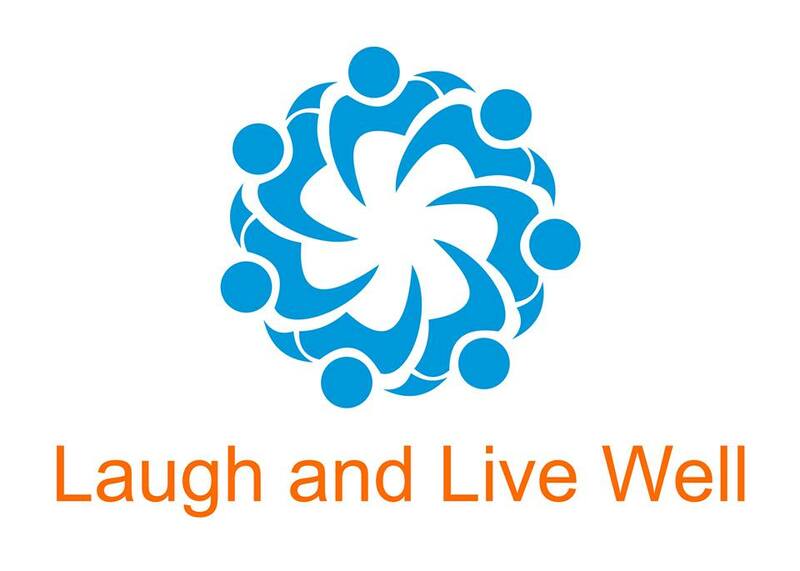 In laughter yoga classes, we choose to laugh, because we can and it’s good for our holistic health. We release built up stress and tension, experience a catharsis and leave feeling relaxed, energised and positive. But as is the case with any yoga practice, it’s not just about what happens during the class, but what we can take away from it and incorporate into our daily life, that makes all the difference. Looking to incorporate more joy and laughter into your day to day life? 1. Enjoy laughter whenever it arises with family, friends or colleagues. Laughter is contagious and you are far more likely to laugh with others than when you are alone. If something funny happens, great! But the laughter is more important than the reason for it. You don’t even need to know why you’re laughing, to benefit from the chuckle and feel good. Just laugh. ‘‘Where there is laughter, there is an opportunity to laugh, so grab it! Even if you don’t know what on Earth it’s about – does it matter? 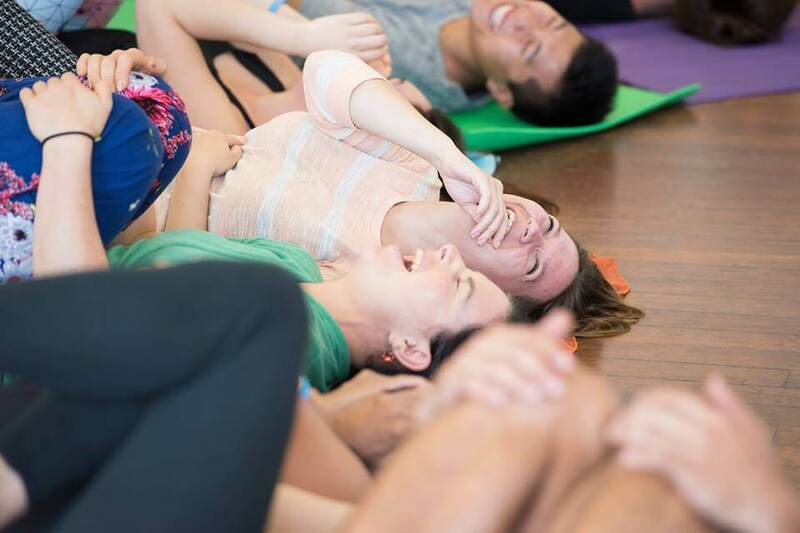 … No need to ask ‘Why are you laughing?’ cos that is a certain laughter killer – just join in.’’ (Lotte Mikkelsen, Laughter Yoga Master Trainer and founder of UnitedMind – via LinkedIn). 2. Appreciate the sound of laughter around you. To do so, you may first need to surrender to it. Many of us have been there. 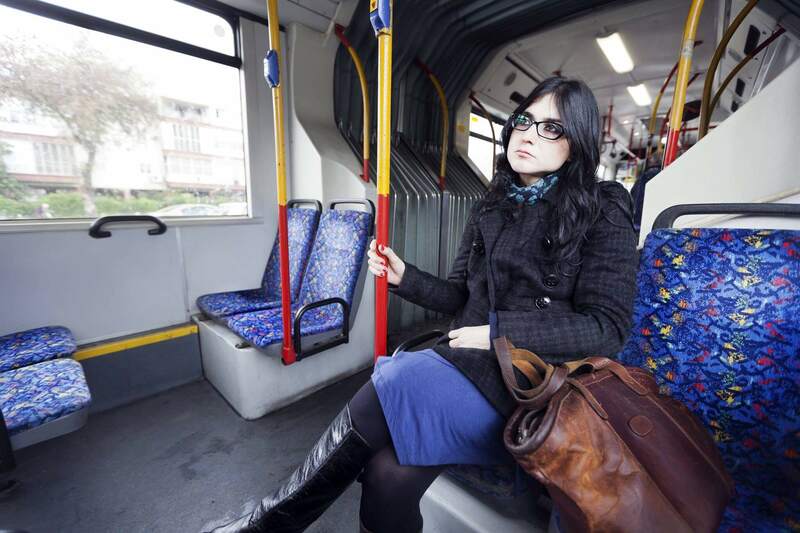 We’re going about our daily life, on our solo travels, and just want a moment of peace. We may be reading a book, listening to a podcast or simply wedging our arm between our head and the window of a bus, as we try to squeeze in an extra few moments of rest. Then a group of people arrive and we know what’s coming. See point one – people are more likely to laugh in groups. We shake our heads, exhale or rant about the noise on social media. Why not enjoy the sound of people enjoying themselves? Stop for a moment. Allow the sounds of friends laughing or children playing to spread through every cell of your body. Tune into it and smile. Feel at happy peace knowing that there is joy in the world and ‘‘against the assault of laughter, nothing can stand” (Mark Twain). 3. Choose a joyful approach to mundane chores. As Mary Poppins once said, ”For every job that must be done, there is an element of fun. You find the fun and snap! 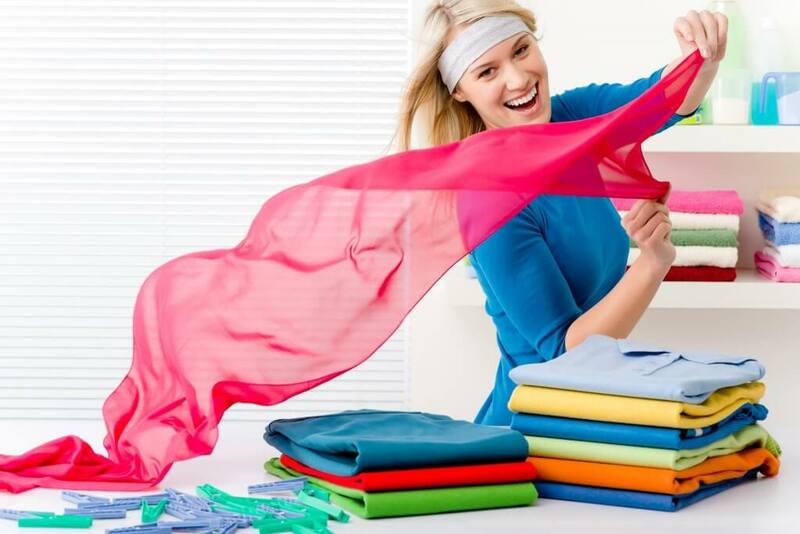 The job’s a game.” Filing, washing up, folding clothes and other monotonous chores feel less burdensome if we smile, laugh, sing, dance or play, as we do them. So crank up a tune, vacuum to a rhythm or give a second sponge to a little one and find an element of fun in the jobs that must be done. 4. Set goals and celebrate success. Achieving your goals, even the smaller ones, releases dopamine and stimulates the reward centre of the brain, bringing feelings of pleasure and happiness to the mind and body. Stop and feel it. Smile and enjoy the moment. Celebrate other people’s success too. This increases happiness for all. 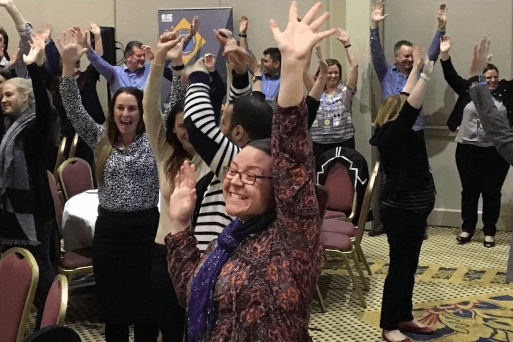 We finish our laughter yoga sessions at the Bondi Beach Laughter Club with an opportunity for people to share things that are going well in their lives right now, big or small, and we celebrate their success. Happiness is one of the only things that multiplies when shared. 5. Be present in the moment and do more of the things that bring you joy on a daily basis, with gratitude. Take time out to enjoy a bath, savour a cup of tea, laugh with friends, take an exercise class or do whatever it is that helps you to wind down and smile. Why count down until your next holiday, weekend or laughter yoga class to laugh and relax, when you can choose to do small things that will bring more joy and laughter into your life everyday?